Crystal River Cruises has unveiled its comprehensive 2018-2019 Crystal River Cruises Atlas. 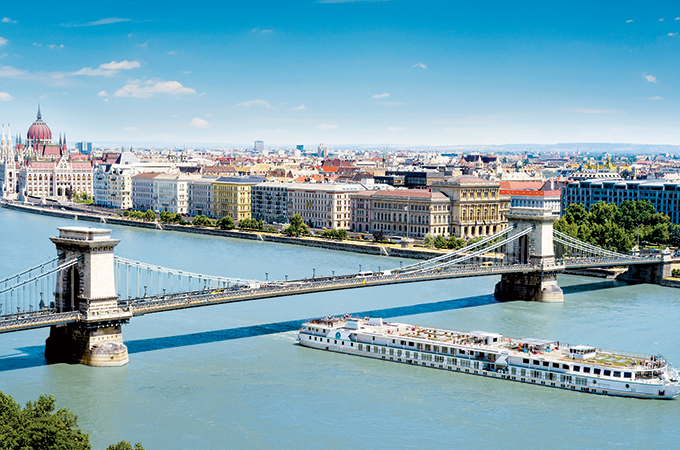 The brochure is designed to showcase every facet of the award-winning Crystal River Experience, from destination highlights of the 35 separate itineraries available along the Danube, Rhine, Main and Moselle rivers, to the all-inclusive facets and sophisticated designs of Crystal Mozart, Crystal Bach, Crystal Mahler, Crystal Debussy and Crystal Ravel. With the latter two set to embark on their maiden voyages this April and May, respectively, 2018 marks the first year Crystal will sail as a fleet of five luxury river ships. New itineraries including a 10-day “Enchanting Moselle” voyage roundtrip from Amsterdam; new seven-day routes round-trip from Vienna; seven-day cruises between Linz and Budapest with optional two-night pre-/post-cruise programs in Salzburg; new springTime sailings focusing on the tulip season in the Netherlands and Belgium; and a seven-day “Magnificent Christmas Markets” sailing between Passau and Budapest and visiting the famous markets along the Danube. New pre- and post-cruise land options including optional stays at five-star luxury hotels located in the cultural epicentres of several cities; and optional three-night Extended Land Programs to Prague, Berlin, Paris and Slovenia. The new Crystal Collection of free shore excursions clearly laid out to illustrate the diverse selection of experiences to suit virtually any traveller’s preferences. More than 200 shore excursions – and approximately 80 per cent of them complimentary – focus on the culinary arts, cultural discoveries, exhilarating adventures, personal perspectives from local experts, and the option to “Design Your Time” for a curated experience. Elegant Signature Events on every voyage – special events that offer rare access and musical performances in iconic landmarks including Vienna’s Belvedere Palace, Linz’s St. Florian Monastery, Rüdesheim’s Monastery Eberbach, and others. Michelin star dining experiences available on every itinerary, offering exclusive reservations at the coveted tables of acclaimed restaurants in Vienna, Budapest and Basel. Enhancing the fascinating destinations outlined in the Atlas are several pages that showcase the all-inclusive onboard luxuries of Crystal River ships. Michelin-inspired, farm-to-table dining in several casually elegant venues, with open seating throughout and unlimited pours of fine wines, beers and premium spirits is a hallmark of the Crystal River Experience. Travelers will also find details of the all-suite, butler-serviced accommodations appointed with designer amenities; onboard enrichment and wellness offerings including the fully-equipped fitness center and Crystal Life Spa & Salon; and streamlined technological amenities found on board.